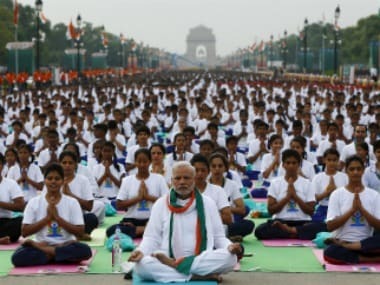 Lucknow: Last minute preparations are underway to host the third International Yoga Day (IYD) event in Lucknow on 21 June in which Prime Minister Narendra Modi will lead some 55,000 people in performing 'asanas' (yogic postures) at the Ramabai Ambedkar Maidan in the city. An elaborate security will be in place with commandos and para-military forces keeping a close watch in and around the venue. Chief Minister Yogi Adityanath will lead a rehearsal of IYD function at the programme venue on Monday and is himself monitoring all arrangements. 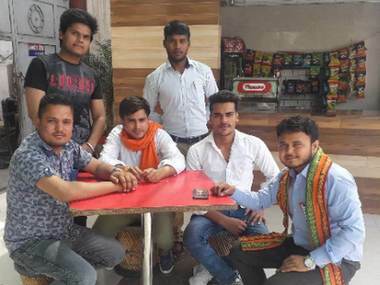 "Police chiefs of adjoining districts of Lucknow have also been alerted to take preventive measures, especially in the wake of call given by Bharatiya Kisan Union (BKU) to stage dharna on highways," a police official said. Spokesperson of the Bhartiya Kisan Union Rakesh Tikait said, "Our party office bearers along with farmers will be performing yoga on the streets in various cities across the state. This will be our way to lodge protest against the government's attitude towards farmers." BKU general secretary Dharmendra Malik said that BKU supporters will perform 'Sheersashan'. 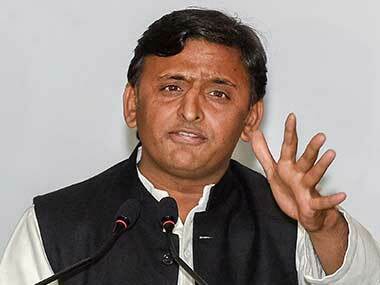 Officials of the Lucknow administration said that more than 400 CCTV cameras will be installed. "Participants of the programme have been allowed to enter the venue from 2.00 am to 5.30 am. Giant LED TV screens will be installed at the programme venue to enable them to have a close look at the yogic postures," Additional District Magistrate (Lucknow East) Virendra Pandey said. "Apart from this, we will instal LED TV screens in 11 parks in Lucknow so that the public and morning walkers, who are not able to enter the Ramabai Ambedkar Maidan, may also simultaneously participate," Pandey told PTI. 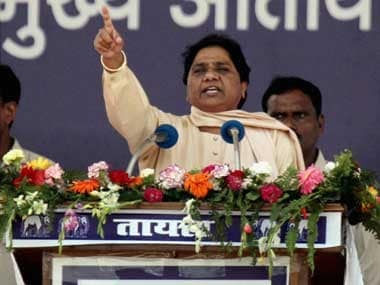 The main programme will begin at around 6.30 am, for which the state government has sent invites to senior political leaders including former chief minister Akhilesh Yadav (of Samajwadi Party), BSP supremo Mayawati, and former chief ministers and governors. Samajwadi Party (SP), on its part, has organised cycle yatras across Uttar Pradesh to spread the message of environment conservation. "SP national president Akhilesh Yadav has asked all the district presidents and office-bearers of the party to undertake cycle yatras on Yoga Day to spread the message of environment and health awareness," SP spokesperson Rajendra Chowdhury said. "The leaders of the party will perform Yoga at the district headquarters and the workers will ride bicycles in their constituencies," he said. When the SP was in power in the state, it had shunned the International Yoga Day celebrations. On 14 May, Union home minister Rajnath Singh and the chief minister reviewed preparations in the presence of Union Ayush minister Shripad Yesso Naik. To ensure that the Day was a grand success, the chief minister had issued directions to hold a 28-day workshop for the participants, which had begun last month. While Modi will be performing various 'asanas' in Lucknow, around 92,000 inmates living in various jails of Uttar Pradesh will also be participating in parallel sessions from the confines of the prisons itself. "Nearly 92,000 inmates lodged in various jails of the state will be participating in the International Yoga Day celebrations from the jail premises itself," Uttar Pradesh minister of state for jail Jai Kumar Singh told PTI. He explained that the main purpose was that by doing yoga regularly, the jail inmates will remain medically fit and think positive, shunning thoughts of committing crime or suicide. 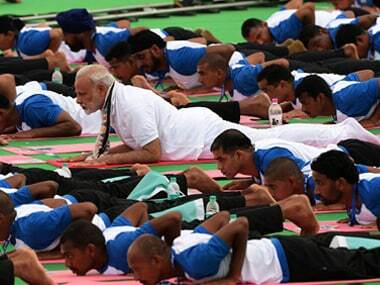 Meanwhile in Pratapgarh, at least 200 farmers are likely to perform yoga simultaneously with the prime minister. "A television will be installed at the venue so that the farmers can not only follow the asanas being performed, but also take inspiration from the prime minister," event organiser Janki Sharan Pandey said. Pandey also said that farmers on this occasion will take a pledge to spend at least half an hour daily on yoga.